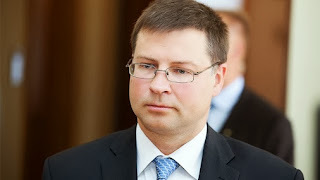 The Prime Minister of Latvia, Valdis Dombrovskis, resigned today Wednesday November 27th after saying he is politically responsible for the collapse of a supermarket roof that killed 54 people and wounded at least 40 others last week, the Associated Press reports. He was the longest serving prime minister in the history of the Baltic state (2009 - 2013) and the resignation throws the country into political turmoil just over a month before Latvia joins the eurozone. The collapse of the supermarket roof last week in Riga sent shock waves through the former Soviet republic which joined the EU nearly a decade ago. At least 54 were killed and over 40 injured. The government came under criticism after the tragedy and police have launched a criminal investigation reportedly focusing on the construction of the building. 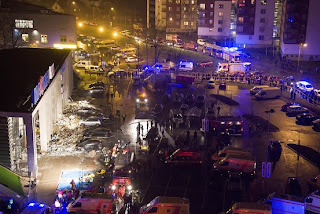 Local media sources said workers had been building a roof garden on the single-storey building which is on the outskirts of the capital Riga. May the souls of those who died rest in peace## Amen.